As Emirates Cabin Crew, I get to meet a lot of amazing people from all over the world! A few weeks ago, I had the pleasure of being introduced to five year old Ameera from Nigeria. 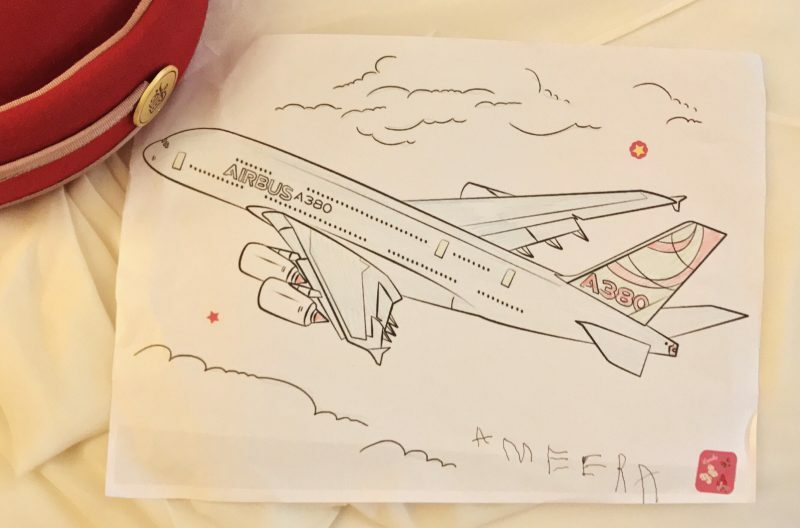 We coloured this picture together, ate snacks and watched movies while we flew to JFK from DXB. It was her first time on a plane and both her and her mother disembarked with the biggest smiles on their faces! Yes, another day, another flight …but it’s moment like these that make my job so great, and I love being able to share these memories with all of you. Next Stop: To be determined..